Tree J really enjoyed Sapporo. It's been x number of years since JKS performed in Sapporo before a sold out audience. treeJ_company171129 CRISHOW IV SAPPORO 1day 같은 하늘 아래서 인생이라는 여행을 함께하고 있는 모든 장어님들께! 오늘 공연, 앵콜을 마치고 퇴장하는 장배우 뭔가 비밀을 지켜 줄 것을 당부하는 모습입니다! p.s 제 모니터를 촬영한 화면이라 선명하지 않네요! 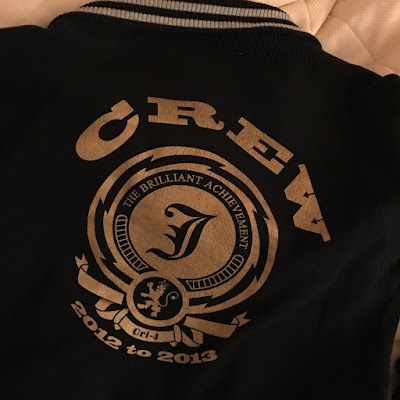 English translation: To all eels who join on his journey together under the same sky! This is actor Jang who makes an exit after finishing today's show and the encore. He tries to ask the audience again to keep something a secret! PS. These are screen shots from my monitor so they are not clear. 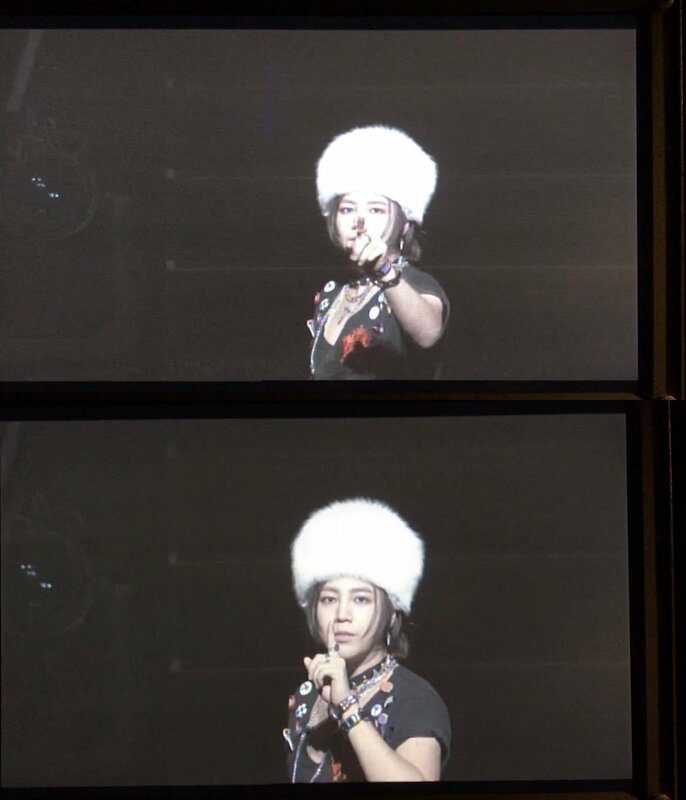 treeJ_company171130 CRISHOW IV SAPPORO 2day 리허설을 마친 대기실! 감독님과 함께~ 장배우의 투어 대기실마다 함께 이동하는 필수 아이템, 에어베드의 변신 덕분에 잠시 릴렉스하던 모습을 찰칵! English translation: Here's the green room after the rehearsal! 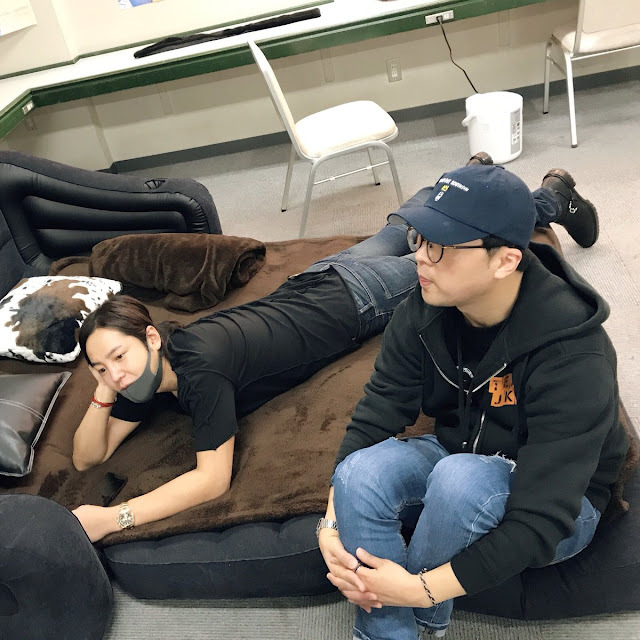 Actor Jang is with the director ~ On Actor Jang's tour, this airbed, a must item, is always brought to the green room. Thanks to the transformation of the airbed, he was a relaxing time. Now I took a picture of this moment. treeJ_company171130 CRISHOW IV SAPPORO 2day 11월의 마지막 날을 Nature Boy가 Indian summer로 만들어 버린 뜨겁고도 뜨거운 밤! 스스키노에서 이런 토끼가 보인다면 생포하십시오! English translation: With Indian Summer, Nature Boy made a last day of November a scorching night! If you happen to see this bunny in Susukino, please capture him! 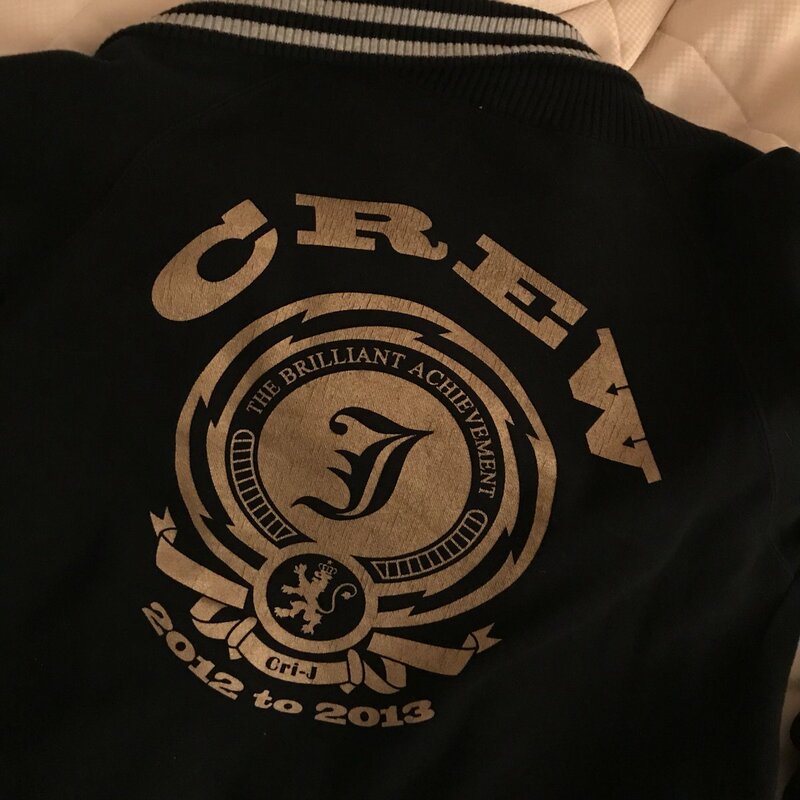 English translation: In commemoration of today, I've brought our team uniforrn from five years ago to Sapporo! PS. I'm ashed of the script I wrote a long time ago. 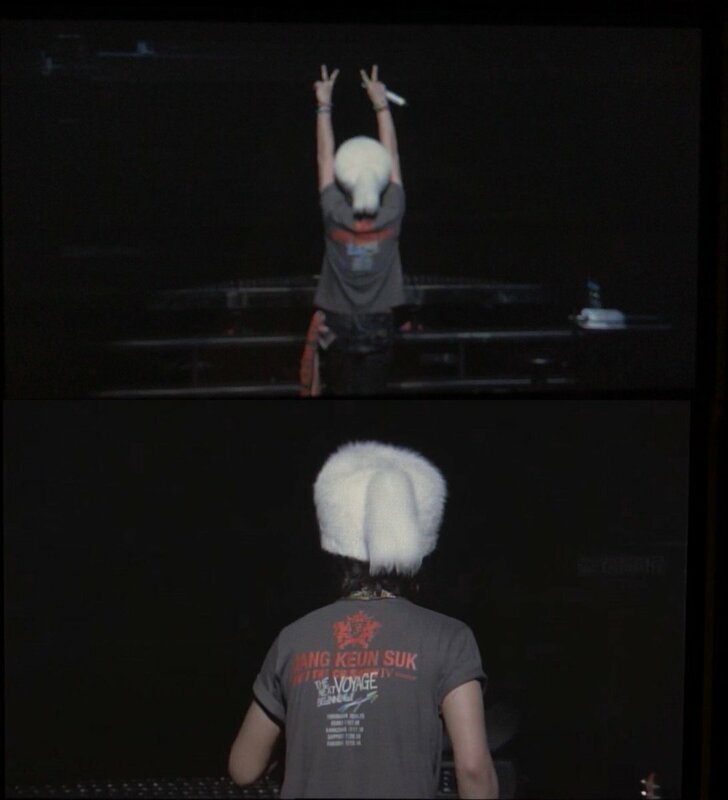 Note: on November 29, 2012, JKS had the final show on the CRISHOW 2 TOUR at Saitama Super Arena.